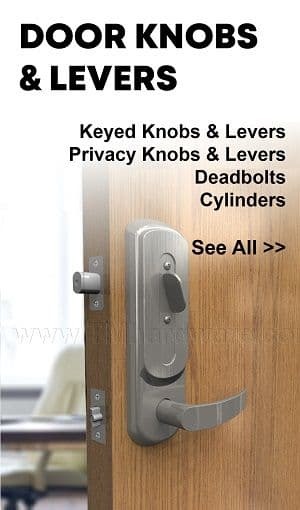 Automatic Flush Bolts deploy rods automatically into the door frame header and floor, when the active leaf is closed. The rods prevent the inactive leaf from being opened. 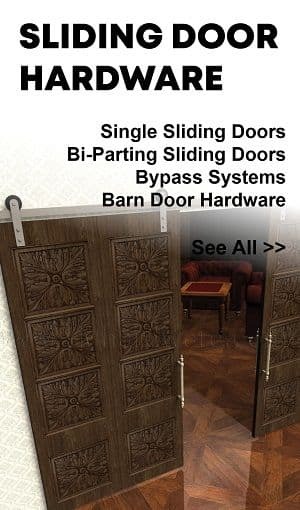 When the active leaf is opened, the flush bolt rods retract on the inactive leaf, allowing both doors to open. 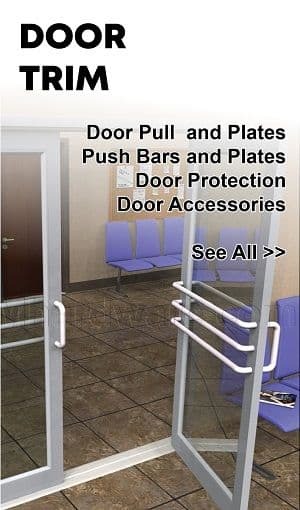 Rockwood 2942 Automatic Flush Bolt Set is applied to the inactive door and is automatically retracted when the active door is opened. 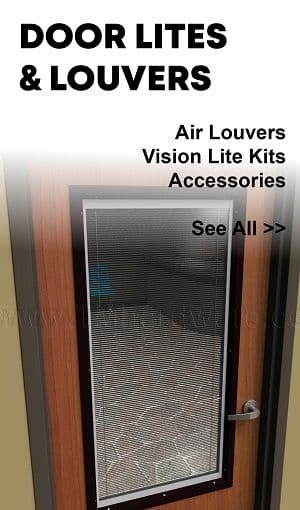 This allows both doors to be easily used in situations where a wide door opening is required. 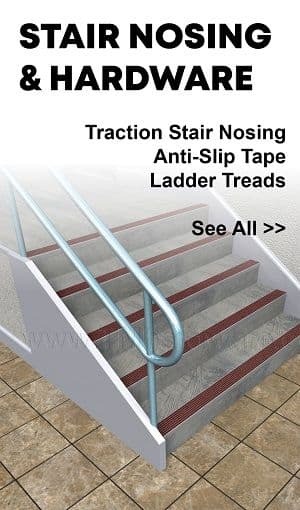 Set includes top and bottom bolts and all necessary installation components. 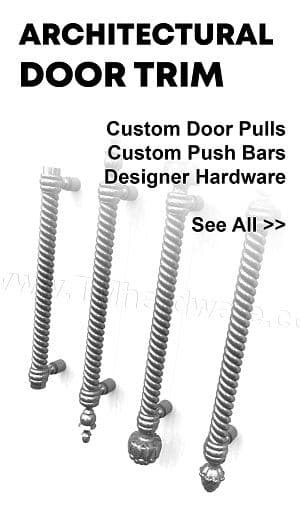 Designed for wooden doors and can be purchased as a full set or top bolt only. 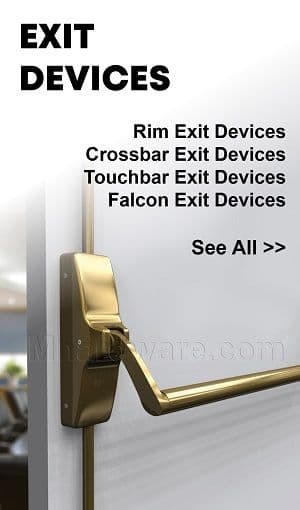 Rockwood Automatic Flush Bolt Set #2842 for Metal Doors is applied to the inactive door and is automatically retracted when the active door is opened. 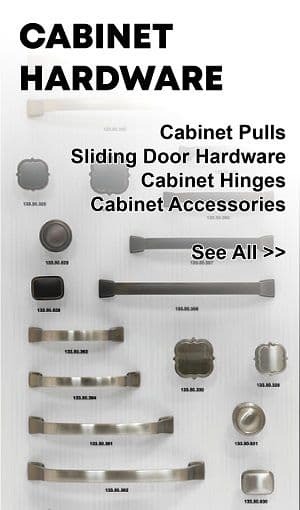 Includes all installation components, Option of full set or top bolt only, Variety of finishes available. 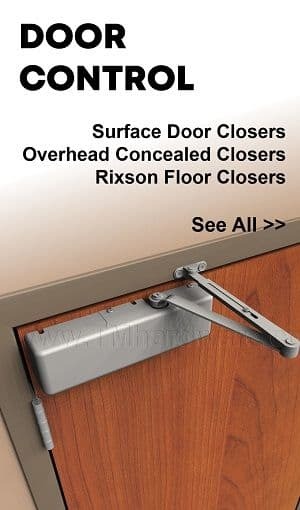 Rockwood Automatic Flush Bolt Set #2962 for Wood Core and Composite Doors, is applied to the inactive door and is automatically retracted when the active door is opened, Variety of finishes available. 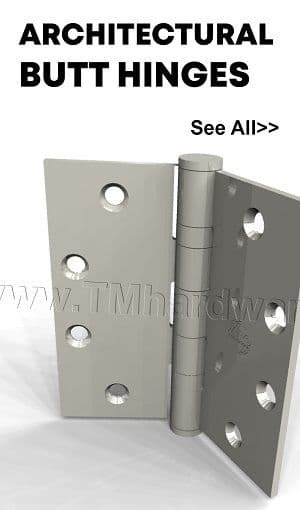 Rockwood Automatici Flush Bolt with Bottom Fire Bolt #2848 for Metal Doors, is applied to the inactive door, and is automatically retracted when the active door is opened, Variety of finishes available, All Installation Components Included, Bottom Fire Bolt eliminates need for floor prep. 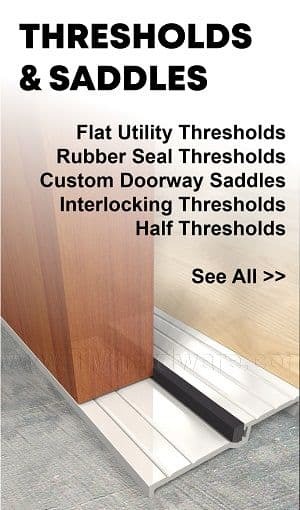 Rockwood Automatic Flush Bolt with Bottom Fire Bolt for Wood Core and Composite Doors #2960 is applied to the inactive door and is automatically retracted when the active door is opened, Variety of finishes available, Bottom Fire Bolt eliminates the need for any Floor Prep. 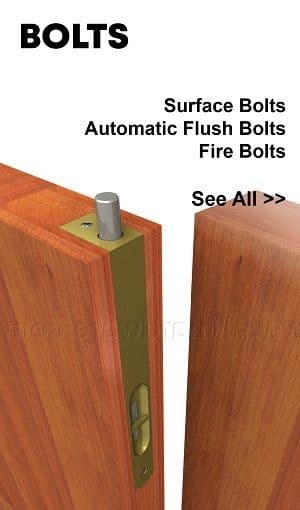 Rockwood Automatici Flush Bolt with Bottom Fire Bolt #2948 for Wood Doors, is applied to the inactive door, and is automatically retracted when the active door is opened. 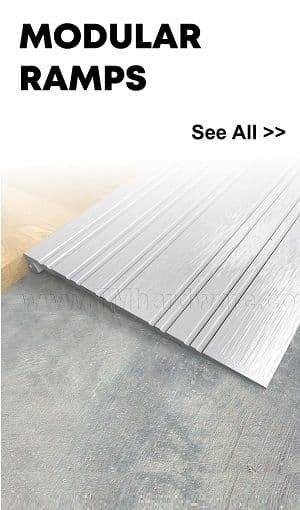 Variety of finishes available, Bottom Fire Bolt eliminates need for floor prep. 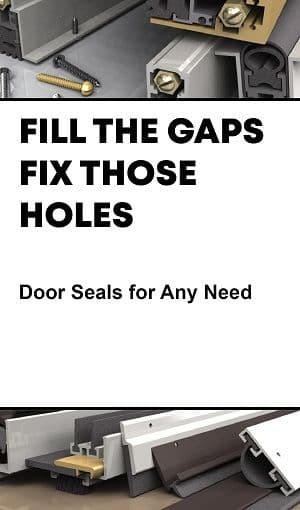 Rockwood Combination Flush Bolt Set for Metal Doors #2845 or Self Latching Top Bolt Only #2805 is applied to the inactive Metal Door, Made from Solid Brass/ Stainless Steel, Available in a variety of finishes, Sold as a set or top bolt only. 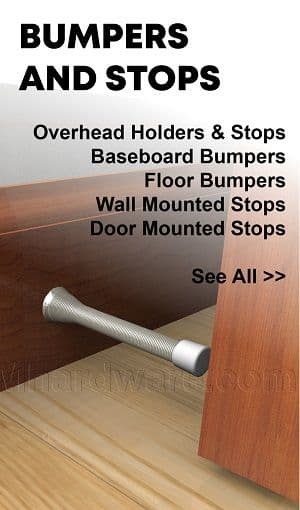 Rockwood Combination Flush Bolt Set for Wood Doors #2945 or Self Latching Top Bolt Only #2905 is applied to the inactive Wood Door, Made from Solid Brass/ Stainless Steel, Available in a variety of finishes, Sold as a set or top bolt only.